Here are two recolors for the Grand Trianon Set for the kids. 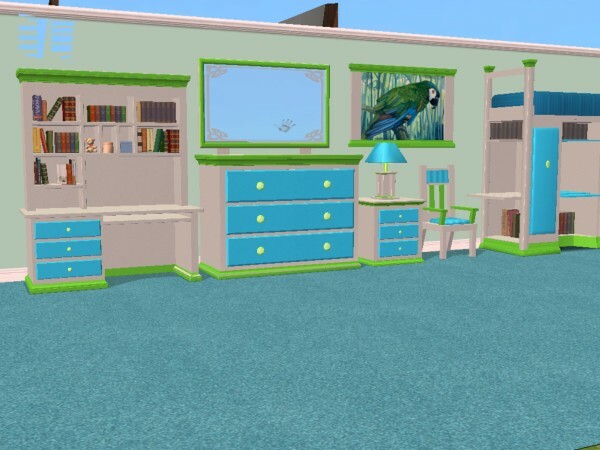 You must get the set from here, items shown are from both the Mirror Bedroom (you need the floor mirror for any of this to work) and from the Loft Bedroom. 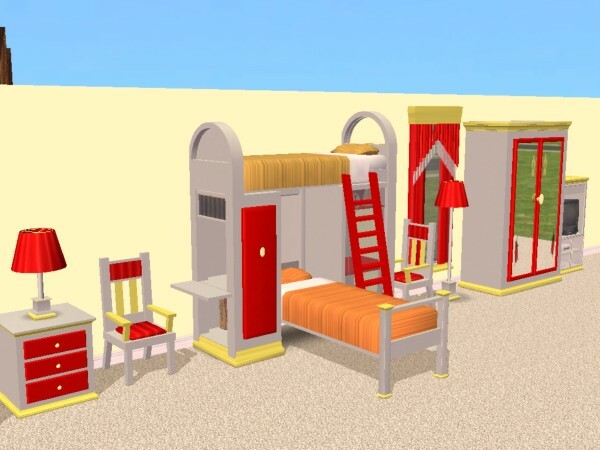 The Loft Bedroom is modular, you can arrange special desks and mirrors and beds below the upper bunk. You can also use the small desks stand-alone. 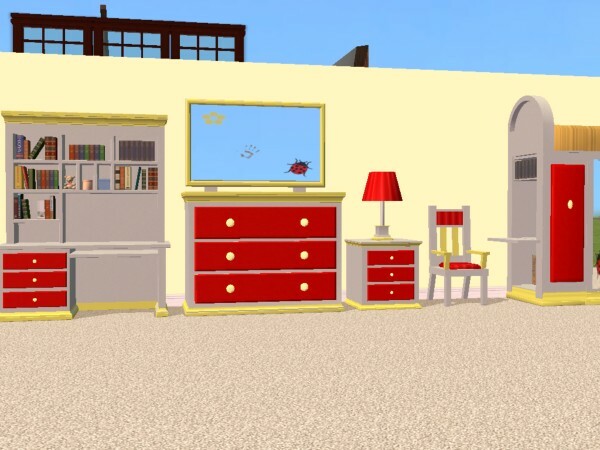 There are even more pieces that I haven't shown, this is a HUGE set. 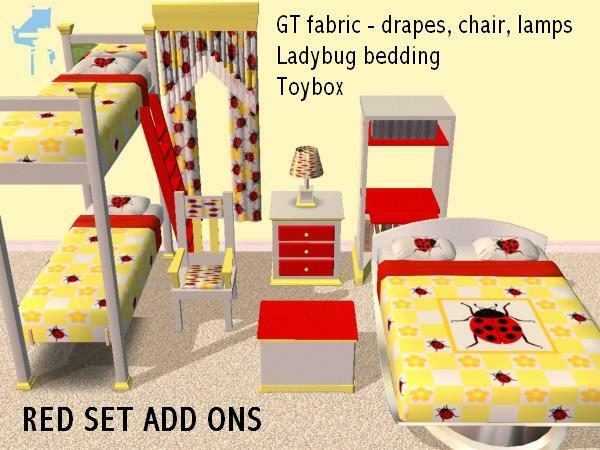 You can choose to use any of the mirrors from the set, for each piece, so you don't need to have the ladybug or handprint on every mirror. 661 people have said thanks to tiggerypum for this download. 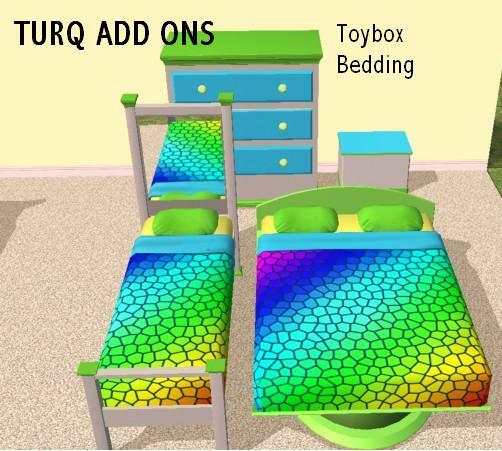 Toddler Bed & Potty Bear ~ New Meshes with Recolours!